Brighter Sound is on the hunt for composers aged 16-25! We're thrilled to announce a brand new commissioning opportunity for autumn 2017. Disruption: What role do systems play within music making and how can we disrupt them? We’re commissioning two young composers to write an original body of music in any genre, in response to this year’s theme of the role of systems within music making. Disruption gives young composers the chance to reflect on the systems and processes they use to create music and how they can disrupt or seek alternative methods to creating sound. The new works will be performed live by professional musicians in March 2018. Successful applicants will receive mentoring from professional sound artist Vicky Clarke during the three-month writing period. They will also receive assistance towards the performance of their piece, including access to a network of professional musicians and a recording of their performance. On top of this, they will each be given a flexible budget and fee of £700 to contribute towards the costs of development of their commission – such as research trips (Algomech Festival in Sheffield on 10 and 11 Nov), travel, accommodation and costs relating to the performance. 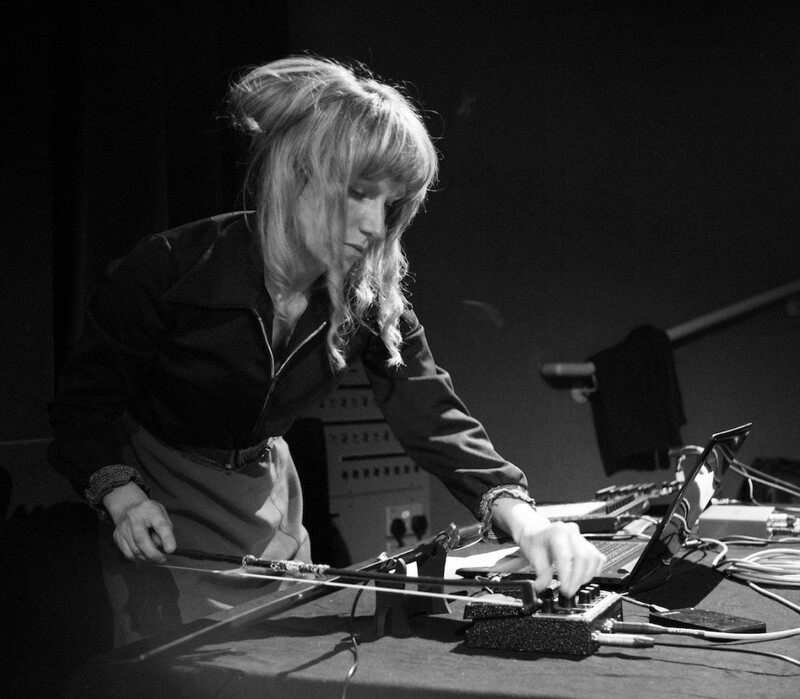 Vicky Clarke is a sound and visual artist working with handmade electronic instruments and sound sculpture. Her practice encompasses a range of audio formats, technologies, sound objects and archive material to create sound that explores noise, space and human -machine interaction. Recent performances include CTM Festival, Manchester Central Library and HOME for CFCCA's Call & Response series and Waves around Edges a live composition responding to the Delia Derbyshire archive for Manchester After Hours at John Rylands Library. She is co-founder of Noise Orchestra a project developing electronic Noise Machines that translate light into sound; undertaking international tech residencies at STEIM and Q-02. This summer ‘Journey Through the Mirror Pool’, a multi-channel sound installation opened at the National Science and Media Museum and are now developing portable synthesizers for ENLIGHT: European Light Expression Network which will premier at Rome Media Art festival in 2018. As humans we are all part of numerous interlocking and overlapping systems and networks: in society, our culture and behaviours and the way we use technologies — some we recognise others we may not. How does this relate to music creation? Do we get locked into creating music via a particular sets of rules, patterns, signal flows or methods? How could you disrupt your approach and make new music on this project? Open to musicians, composers, music makers and sound artists. We’re committed to greater cultural diversity and pluralism within our residencies and wider activity, and strongly encourage applications from female and minority candidates. All applications are judged primarily on musical merit. Applicants must apply online. We are committed to supporting and meeting the needs of people with learning difficulties or disabilities. If you require the application in a different format or have difficulty completing your application online, please call us to discuss alternative options on 0161 830 3899. Successful applicants will be notified on or around Monday 6 November. For more information about this project please contact Lucy Wallace or Kate Lowes on info@brightersound.com or call 0161 830 3899. The Young Composers Commission is a Brighter Sound project funded by Youth Music.